Robert Vantress has left the Silicon Valley Law Group to open a small legal shop aimed at making legal services more affordable for small and mid-sized companies. The San Jose-based lawyer said he hopes to accomplish that by going boutique. His new law firm, Vantress Law Group, will focus specifically on commercial litigation for intellectual property, labor and employment, and real estate matters. At the moment, he's the firm's only lawyer. "I'm looking for how to get me and my law firm compensated on a results-oriented basis," Vantress said. "I want to have more skin in the game." He said all of his clients with active litigation are accompanying him to the new shop, which officially opened last week, including footwear maker K-Swiss Inc. and Los Angeles-based data center investor Red Sea Group. Silicon Valley Law Group, a firm of 15 lawyers Vantress co-founded with four other former big-firm lawyers in 1994, had the same idea of being a lower-cost alternative to the large corporate law firm when it started up at the end of the recession of the early 1990s. In Vantress's view, clients want their legal services even more specialized than his old shop had become. That firm was one-third real estate, one-third transactions, and one-third litigation work, whereas Vantress's new firm will focus only on litigation. "In order for me to deliver a results-oriented fee structure, I need to be able to control my costs better, and I think I'm going to be able to do that," Vantress said. James Chapman, who co-founded Silicon Valley Law Group with Vantress, said their old firm's real estate practice has become better known than its other practices in recent years. Chapman left in 2007 to help open Nixon Peabody's Silicon Valley office, where he is now managing partner. "I think what [Vantress] is looking to do is to follow the examples of Allen Ruby, Jim McManis and Tony Trepel," Chapman said. 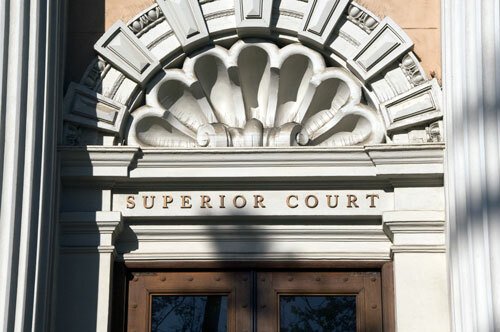 Those three San Jose-based practitioners are all well-known trial lawyers with small litigation shops. Ruby is known for representing baseball player Barry Bonds and the National Football League in litigation against the Oakland Raiders. McManis is a partner in the 18-lawyer McManis Faulkner. Chapman said Vantress, with his new firm model, will have to negotiate the trade-off between overhead costs and the expertise and resources a larger law office offers. Vantress said he has an informal referral network of lawyers for when he needs expertise outside of his purview. They include Berkeley-based appellate lawyer Joseph Hearst and Palo Alto civil litigator Isaac Winer. Cathryn Gawne, a corporate lawyer who practiced with Vantress at Silicon Valley Law Group before moving to San Jose's Hopkins & Carley, expected her old colleague to be successful. "I think right now both clients and law firms are looking for alternatives because of the downturn and because of the way law firms are evolving. I think a boutique is one way of going," Gawne said. "Things are changing. It's a new world order."